analysis of loops and recursive procedures. The value analysis, the cache analysis, and the pipeline analysis are done by abstract interpretation, while path analysis is done by integer linear programming. 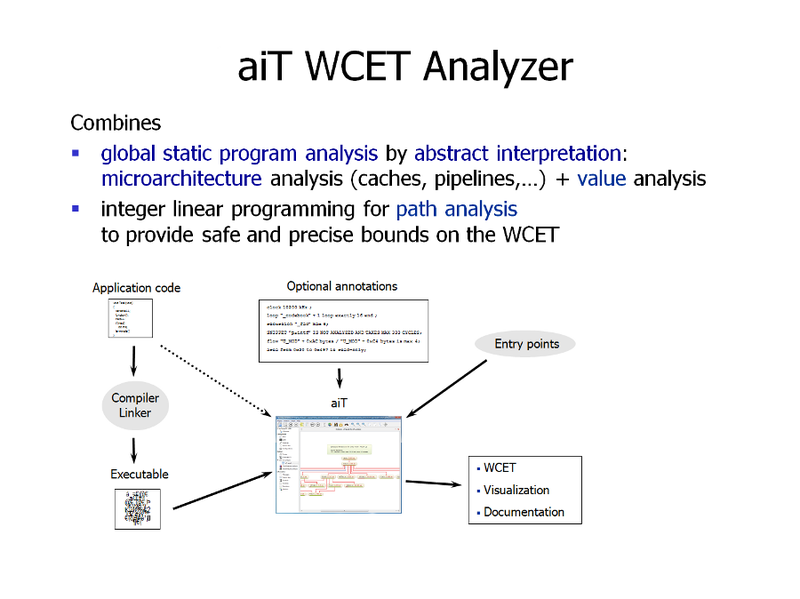 aiT takes as input the executable to be analyzed, the start address of the task to be analyzed, and optional user annotations (targets of indirect function calls, upper bounds on loop iteration counts, snippets that should not be analyzed, etc. ).